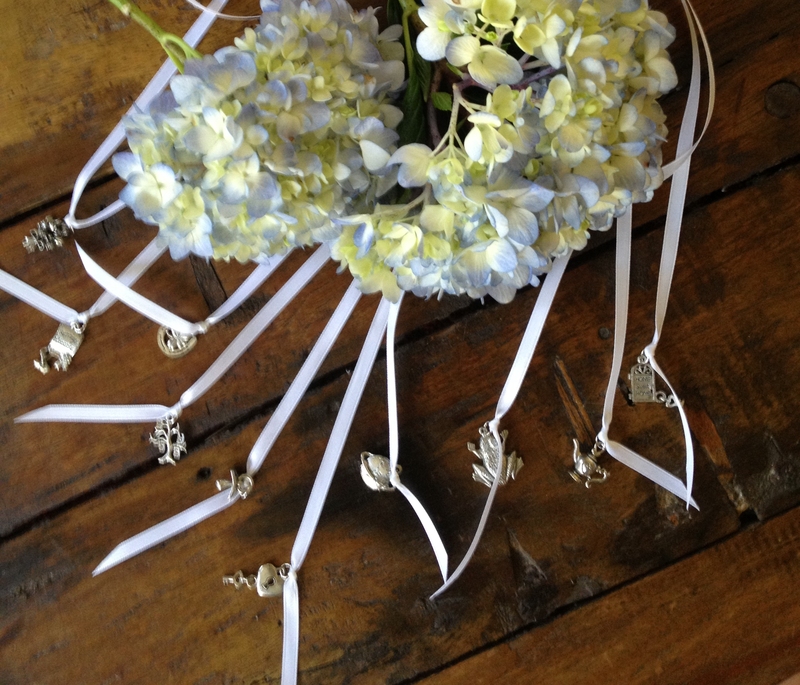 Our wedding cake charms or bridesmaid cake pulls are sold individually as well. You can design your own Custom Set of Wedding Cake Charms. Choose from over 25+ Wedding Cake Pulls listed below. 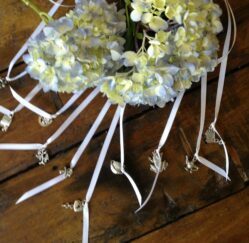 The cake charms have a silver finish and are attached to a white satin ribbon. 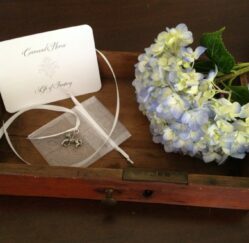 Each charm comes with individual cards with the name of each charm and the meaning. 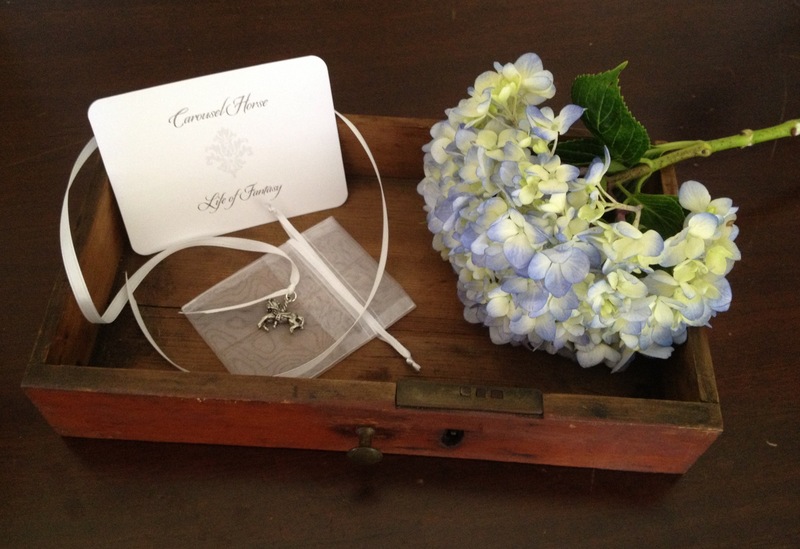 Our wedding cake charm sets also comes with a large card that explains the Victorian Wedding Tradition as well as individual organza keepsake bags for each charm so that the bridesmaids can have an elegant way to store their keepsake cake charm.